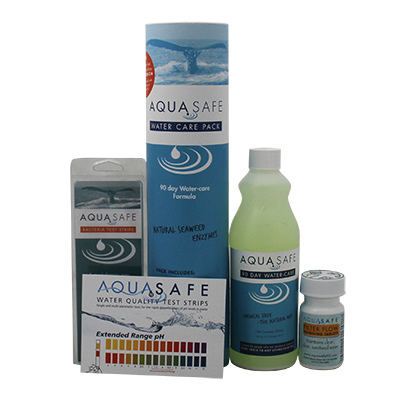 Makes managing your spa water quality so much easier. 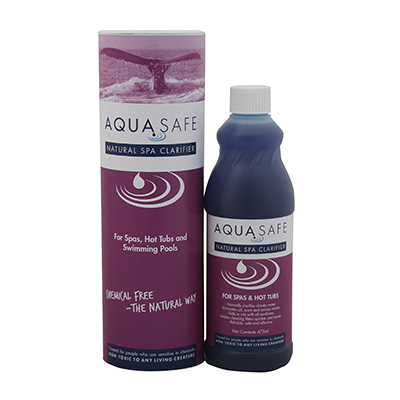 There are already impurities in the water used to fill a pool or spa that can be harmful to you, such as copper, iron and calcium. 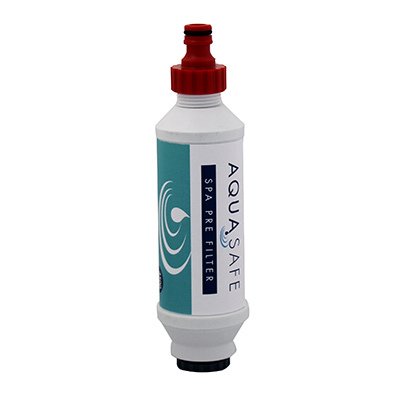 You can reduce these and increase the life and quality of your water by using a AquaSafe Pre Filter with filtration down to 0.5 micron. 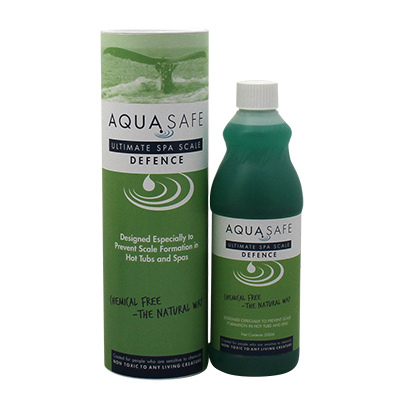 Rust, particles, dust, sediment, chlorine, tastes, odours, cloudiness, colours, iron, lead, copper, iron oxide, arsenic, aluminum, mercury, cadmuim, hydrocarbons, vapours, hydrogen sulphide and extra fine sediment. 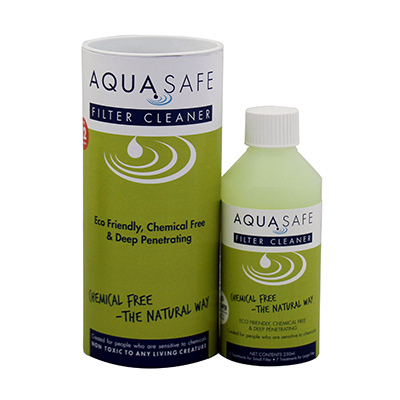 0.5 Micron, Removes MTBE (methyl-t-butyl ether), Excellent for Well Water.